This offering is for 1 of our Turkish M1 Garand Bayonets. Like the ones pictured, all are in good looking used condition and a bit uncommon to encounter. 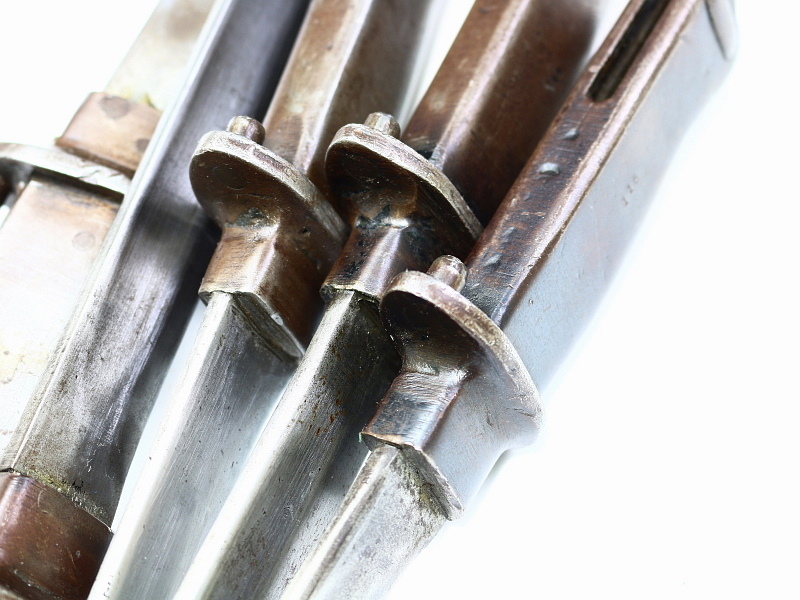 These bayonets are similar to the M5A1 design and seen to have a recycled Mauser bayonet blade. 11.75 inches in overall length. These do not have a scabbard. The blade has a reinforcement near the cross guard that prohibits use in a M8A1 scabbard. Likely had some kind of modified Mauser scabbard at some point. 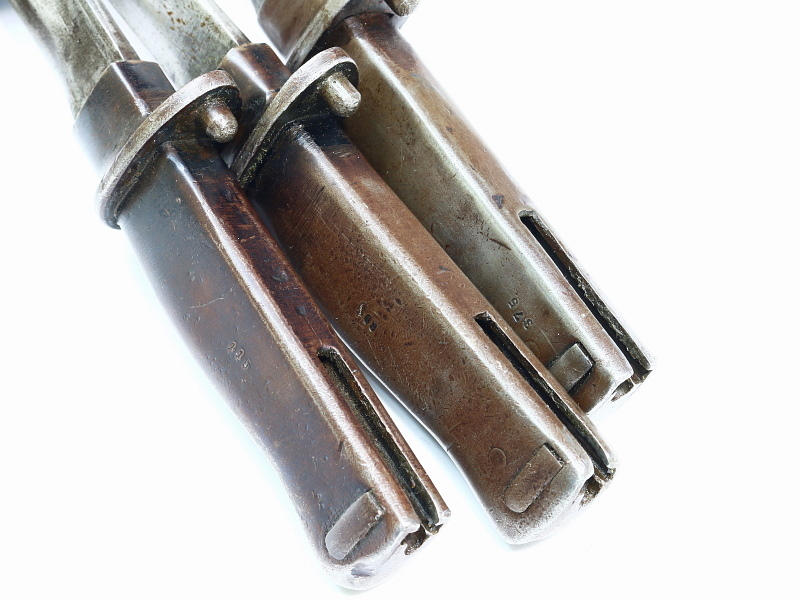 These fit the M1 Garand just fine. Turkey was a recipient of US M1 Garands between 1963-1973 for use with Naval and Airforce ground units.